On the international level, three types of competitions are played. World Cup which takes place every four years, the continental championship of each continental confederation and Confederation cup, which is also played every four years. Check out the details of three most followed country soccer competitions on a national level. The most followed soccer event in the world. FIFA World Cup is played every 4 years from mid-June till mid-July. 32 national teams are participating in World Cup. A country where the World Cup is played and winner of last World Cup are the only teams which have right to participate without playing the qualifications. Other 30 teams have to win their right to participate in qualifications. There are 14 teams from Europe, 5 teams from Africa, 5 from South America, 5 from Asia, 3 from North and Central America. 32 teams are divided into 8 groups by 4 teams, where they played each versus each once. Two best teams from every group qualify for the play-off. 16 teams meet in the playoff bracket. Single elimination knock-out match is played in all rounds of the play-off. Concacaf Gold Cup is a championship tournament for members of Concacaf. Concacaf is Confederation of North, Central America and Caribbean Association. Gold Cup is played every two years (in odd years, e.g. 2017, 2019). 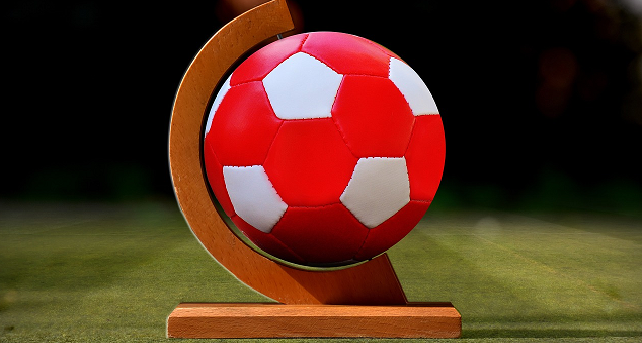 Gold Cup is played by 12 teams, which are divided in three groups by 4 teams. In every group, each team plays with each team one match. First two teams from every group plus two best 3rd placed teams qualify for the play-off. The playoff is played as single elimination match. Need soccer cleats? Need a help with sizing, type, and other parameters? Check our best soccer cleats guide. Copa America is a tournament between national teams from South America. It is the oldest soccer tournament in the world. First Copa America was played in 1916. Copa America is played irregularly and has irregular format depending on a number of teams participating. Usually, all 10 South American teams play at Copa America plus other teams invited from different continents. Mexico is usually participating too and one team from CONCACAF (North and Central America) is usually invited. Last Copa America tournament was played in 2016 as a celebration of the centenary of Copa America. Next Copa America should be played in 2019 in Brazil. The number of teams is not known yet. However, there is speculation about 16 teams participating. Then from 2020 Copa America will be played every four years (2020, 2024, …). Check our best soccer leagues guide for every fan.